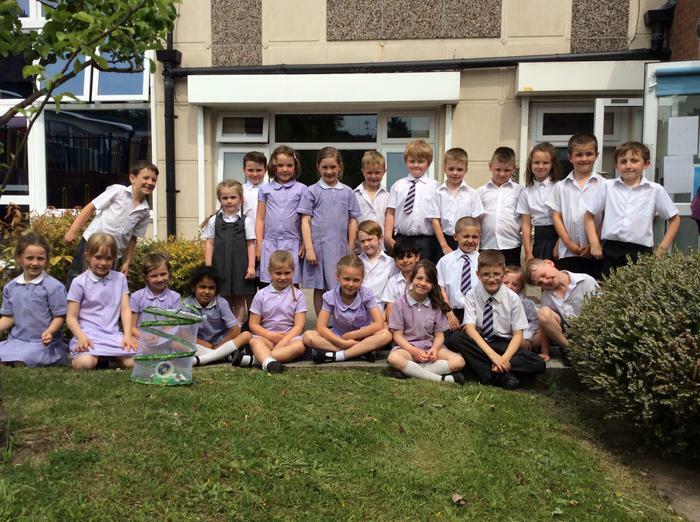 We were very excited when the larva were delivered to our school. 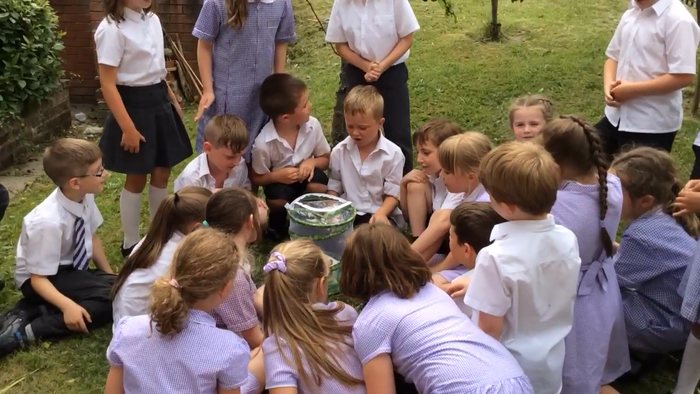 We had learnt all about the life cycle of a butterfly and couldn't wait to watch our new friends develop and change. Look how small they were. We needed magnifying glasses to see them properly. 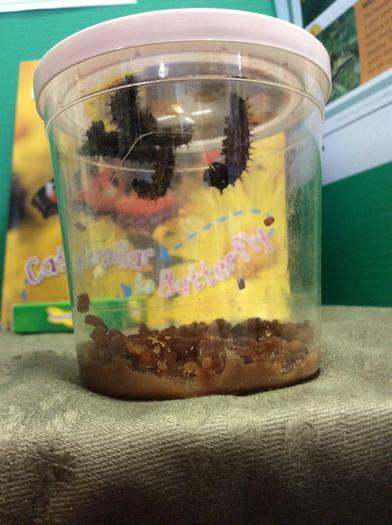 Slowly but surely our caterpillars started to grow. 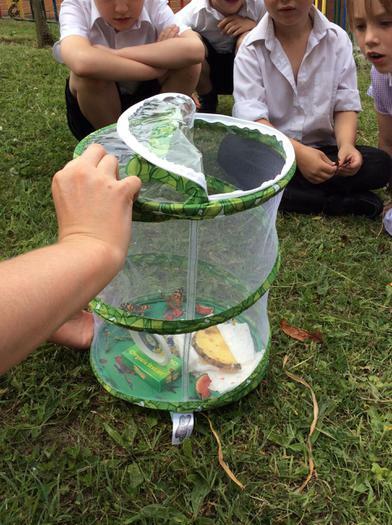 We enjoyed watching them change, observing how they moved and noticing special events such as moulting. As caterpillars grow they become too big for their exoskeleton so they get rid of their old exoskeleton ready for a new better fitting one. Caterpillars moly four or five times in their lives. 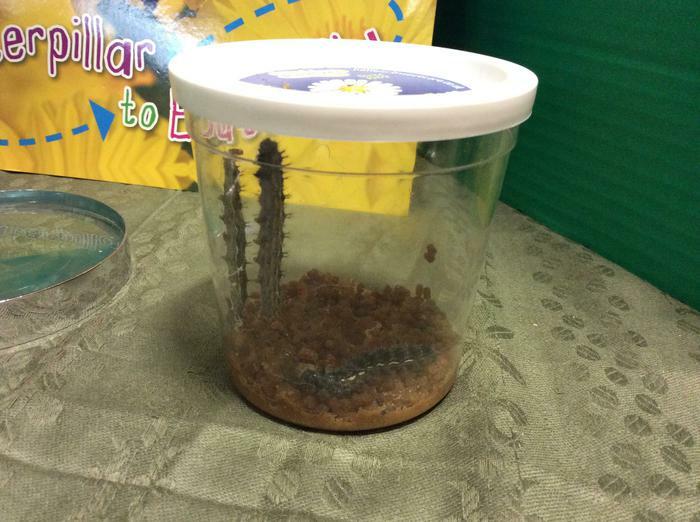 Our caterpillars have grown lots and have enjoyed crawling around their habitat. We found it interesting that caterpillars have 6 legs just like a butterfly or any other insect however, they also have 'fake' legs called prolegs which are used to help the caterpillar move on leaves. 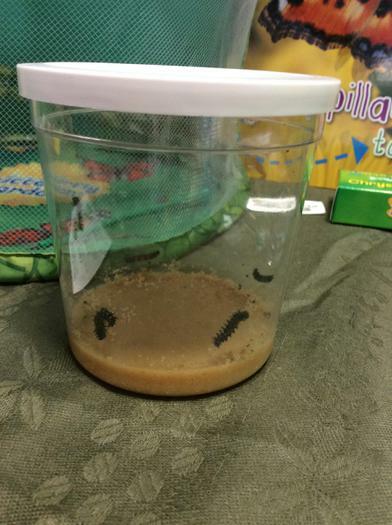 After about two weeks all the caterpillars started to crawl to the top of the cup and hang upside down. We knew that this was because they were turning into chrysalides. 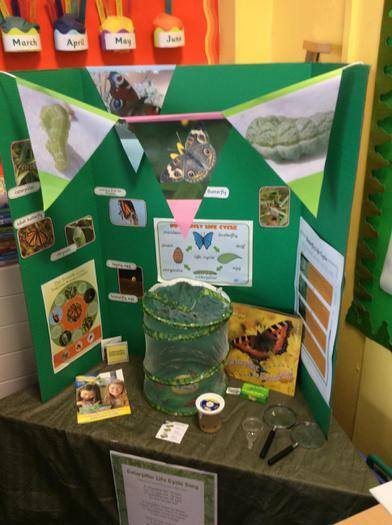 Over the half term the caterpillars hardened and after a few days hatched out of their cocoons. 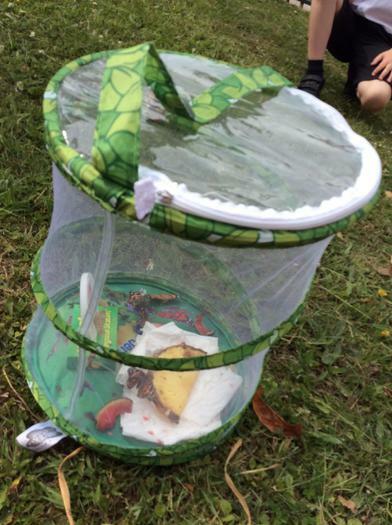 They explored their new habitat as butterflies. We spent a day observing the butterflies and watching them eat the fruit and nectar from the flower we had put into the habitat. After that we waited for the coolest part of the day and set them free. A few children started singing a butterfly song and soon the whole class sang together to encourage the butterflies to fly away. It was a lovely moment watching them fly away.